This guy was such a little peanut and so adorable! 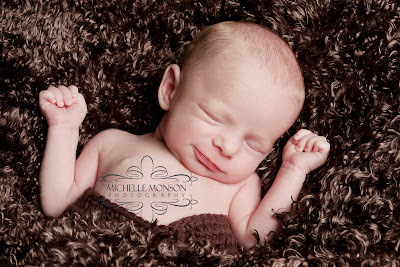 When we started he wasn't too sure but mommy fed him and he was good to go and slept the entire session! We even got some smiles! 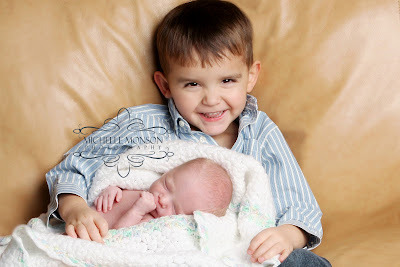 Big brother " G " even took a few pictures with his new brother! 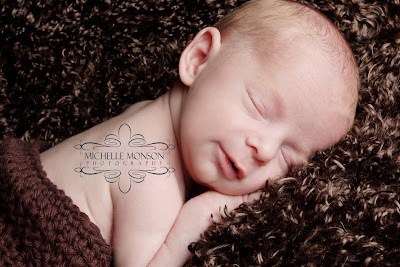 Thanks mom and dad for letting me have the honor of capturing your new little one. I am so happy for you guys! Valentines Day is coming up soon! 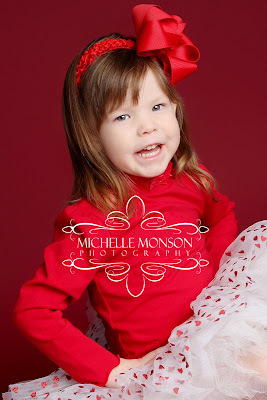 Call to schedule your little cupid or sweethearts session today! 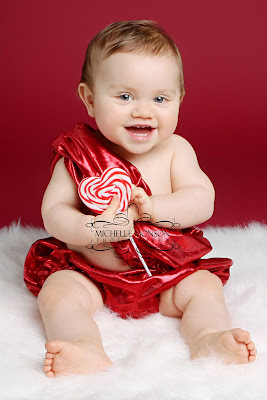 You can use my props..cupid outfits, angel wings and dress, lots of tutus, pettiskirt, heart suckers, hershey kisses, ect. or you can bring your own props and outfits. Well I have enjoyed the last few weeks with my family but it is now time to get back to work. 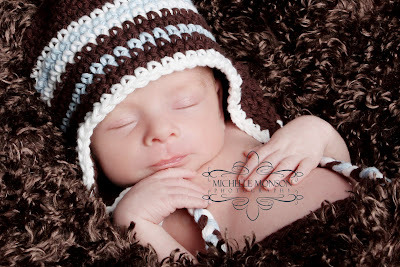 Today's session will be with a newborn who was born around Christmas...I LOVE the newborns..so excited! I thought my first post for 2010 should be with my kiddos but only two would cooperate and that's fine so as you see one will be missing because he flat out told me, "No..all done" LOL! My children are growing up way too fast..I just want to stop time or slow it down. 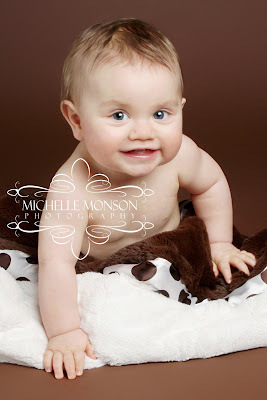 Parker is going to be one soon and that time flew by! He's now crawling and all over! Paige is getting to be a big girl now and wanting to be more independent. Preston is doing awesome in school and everyday you see him "come out" more and more. 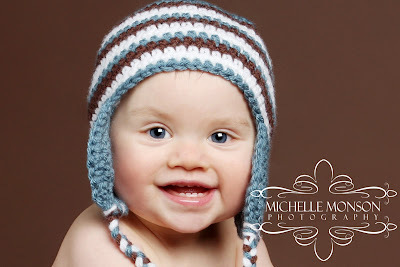 The three picture I have are two of Parker..one with his blanket (he always has to have one but they must be soft or he refuses to use it LOL) and then one in a hat but you see all of his teeth and there's a lot! 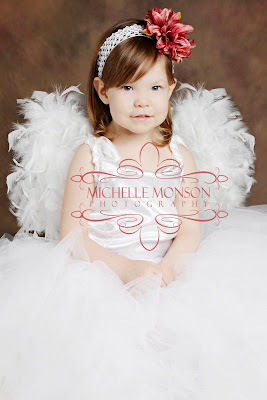 Then of course Princess Paige in her angel outfit..isn't she beautiful! She misses her daddy so much! Everyday it's "Good Morning mommy, daddy still at work?"